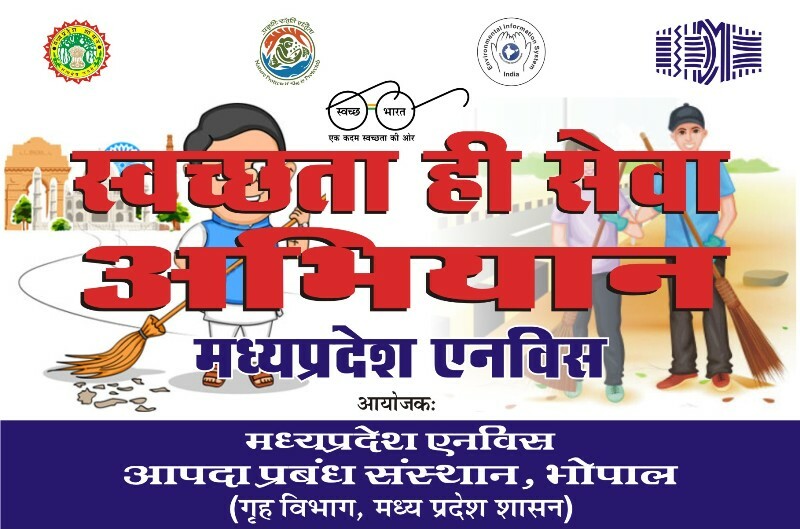 Madhya Pradesh ENVIS Centre was celebrated “Swachhata Hi Sewa Campaign” from 15th September to 02nd October 2017. We were organized a Green pledge on “Swachhata Hi Sewa Campaign” for school students, common public and DMI staff members. MPENVIS Centre also organized a painting competition on cleanliness in Swachhata Hi Sewa Campaign at Disaster Management Institute Campus. Awareness programmes and group discussion were conducted by MPENVIS team for youth on Swachhata Hi Sewa Abhiyan. Quiz contest on theme “prakriti paryawaran aur hum” and Prize distribution was done on this occasion. We were distributed the awareness pamphlet during the Programme.